We’ve had our cat, Boca, for nearly 11 years now and while he’s crazy and ornery we still love him and like to get him his own gift each year. The PetHoliday by ToyShoppe Holiday Value Pack for Cats and many more great holiday gifts for your cat are available at the PetSmart website or at a PetSmart location near you. 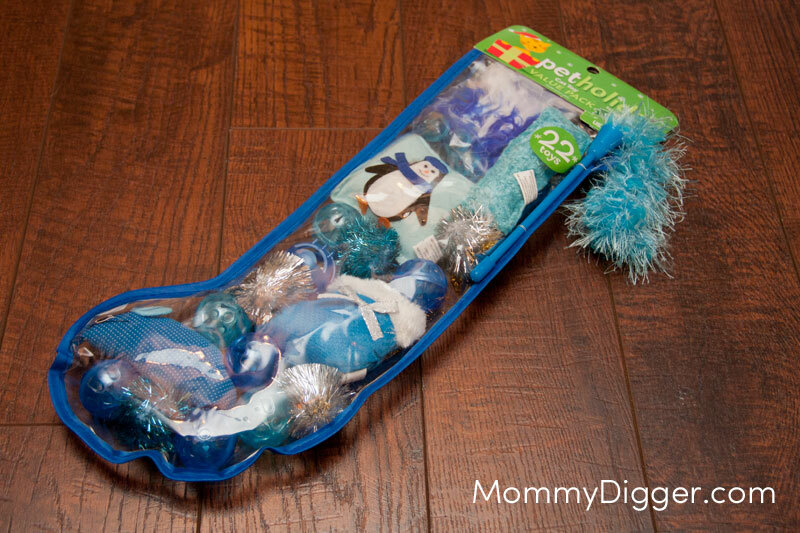 One Mommy Digger will win a PetHoliday Value Pack for Cats! To enter, fill out the Rafflecopter form below. Ends 12/24 at 11:59PM EST. I love the ToyShoppe® Playables Kitty Pirate Ship Cat Toy! The gift that I would pick for our Prima Don – Nicholas would be the Sheeoskin Window Cat Perch , but if he was looking at the possibilities his would be heated. my fir kids would want me to get them some Fresh Step® Scoopable Litter with CarbonPlus™ Extreme Odor because we go thru alot of kitty litter.